Don’t rub your hairs for drying just, apply towel or blotting paper. Avoid to play or passing the fingers in your curls. This touch may cause tangle to your hairs due to frictions and your beautiful curls. Use moisturizer in dry conditions to care the hairs after shampoo. Also apply hair care mask on hairs at least once in three months. Apply suitable best oil to hairs after shampoo so that your hairs may not allow pumping. Grind the leaves of five petal hibiscus and take out the juice, that juice is applied to hairs for silkiness. Use conditioner after shampoo so that your hairs may not tangle and remain extra protected. 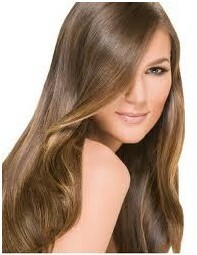 Main reason of dried hairs is to apply gels, sprays and styling creams to hairs. So avoid using such type of hair products if you are suffering from drier disease. To massage the hairs with natural necessary for hair growth and care as oil is a food of hairs. Coconut oil and safflower oil is best moisturizer of dry hairs. Apply these oils on hairs for 2 hours once a week. Eat green vegetables with great demand as they contain vitamin E that is very healthy food for hair thickness and removes dryness of hairs. Fruits and vegetables contain multi vitamins for best hair growth and health. So eat carrot, reddish, turnip, grape fruit, apple, papaya and other raw vegetables and fruits. Drink plenty of water daily and increase the amount of other liquid materials. Wash your hairs with fuller’s earth at least once a weak. This will clean your hairs properly as well as reduce oil that trap in hairs. Mix apple cider vinegar in water and apply in hair shafts and roots of hairs.